As the name would suggest, there is much more than meets the eye with the Asus Eee Pad Transformer. 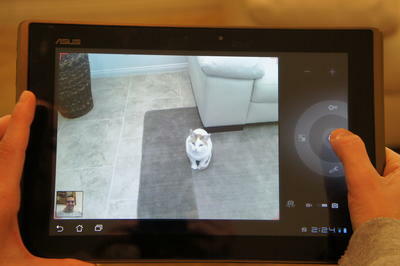 The tablet’s spec sheet reads nearly identical to its biggest Android-powered competitor, the Motorola Xoom. Both are powered by NVIDIA’s incredibly capable dual-core Tegra 2 processor, augmented with 1GB of RAM, and enter the market amidst significant hype. That, however, is where the similarities end. Where the Xoom fell short, the Transformer excels, and easily takes the throne as the best Android Honeycomb tablet on the market. It’s quick, responsive, multitasks with aplomb, and looks good while doing it. 10.1-inch IPS Panel with LED Backlighting, 1280×800 resolution, 10 finger multi-touch support, and scratch resistant glass. exception; while outside, you’ll find yourself inventing creative ways to shield the display from the sun’s rays. The device isn’t supermodel thin, but it’s going to be far from embarrassed in a bathing suit. At .51-inch thick it’s not as svelte as the iPad 2 (.34-inch) or as light, tipping the scales at 1.49 lbs (compared to Apple’s 1.33 lbs) but it feels great in the hand and the textured plastic back offers great grip to help avoid slippage. The lock/power button is ideally positioned on the left side of the device, making it easily accessible in any orientation. Easy button placement seems like a no-brainer, but after spending some time with the Xoom’s rear facing lock button or the BlackBerry Playbook’s minuscule option, the Transformer’s seems like a welcome gift. 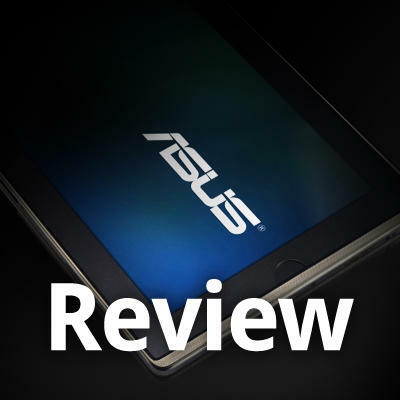 Incredible hardware is only as useful as the software it’s running, and Asus has done a truly remarkable job tweaking Android Honeycomb to take full advantage of the power under the hood. I can run benchmarking tests all day, but the biggest test of tablets acumen is how it works for the end user. The Eee Pad Transformer handled everything I threw its way, from HD video, to games and books. to believe the Transformer, at its core is using the same operating system and similar hardware. To anyone who saw the movie Twins, the Eee Pad Transformer is the Schwarzenegger to the Xoom’s DeVito. Everything about this tablet just works, and works well. It’s quick, responsive, and keeps up with even the most demanding of users. Unfortunately, all that performance comes at a price. In my tests, with screen brightness set to 70%, Gmail checking every 15 minutes, and constant video playback (standard definition) I was only able to eek out 5.5 hours of battery life. Asus did push out a firmware update during testing that supposedly improved battery life, but unfortunately it was received too late to include in my results. Assuming you are not watching videos constantly, you’ll have no problem getting through 1-2 days simply checking e-mail and browsing the web. 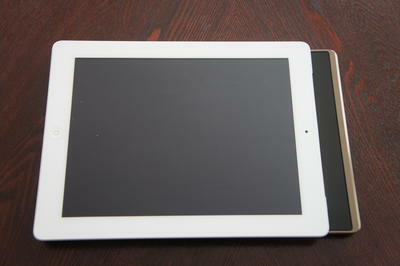 Tablets are made for media consumption, and Eee Pad Transformer nails it on all fronts. Text looks crisp (subsequently reducing eye strain) and video is beautiful. It ate up 1080p video and played it back with nary a stutter. Our review unit came with Angry Birds and a slew of other games pre-installed, and I’d be lying if I didn’t say that many hours were spent ‘testing’ the tablets gaming prowess (it’s a tough job). It rocked everything I threw at it, from simple games to the most graphically intensive Android offers. manager, lets you easily access data stored on USB thumb drives or an SD card. This was a feature I was extremely excited about, but one I hardly used in real world settings. When I needed to access information, I found it easier to use web-based options. However, if you find yourself far from Wi-Fi, it will be a welcome addition. Plugging your tablet into the keyboard dock can be tricky, and often took a few tries and up to 2 minutes. It got easier each time I tried, but be warned, there is a bit of a learning curve. Once you get your Transformer into the dock, you can take advantage of its laptop-esque trackpad, which brings a fully functional cursor with it. It was fun at first to use, but it ultimately took away from one of the biggest tablet selling points of using your finger. The keyboard dock is an interesting accessory, but by no means an essential one. If you plan on using your Transformer for word processing or spreadsheets, you will find an external Bluetooth keyboard a cheaper and almost as useful alternative. If you decide the dock is for you, be warned, you’ll be carrying an extra 1.4lbs with you. The Transformer is the tablet Android fans deserve. 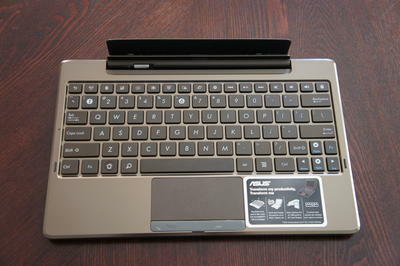 I’m disappointed I have to send my review unit back to the folks at Asus. Before, whenever anyone asked me which tablet they should buy, my answer was always “The iPad 2.” Now, I can confidently recommend another extremely capable alternative. If you are in the market for a tablet, you owe it to yourself to look at the Transformer. 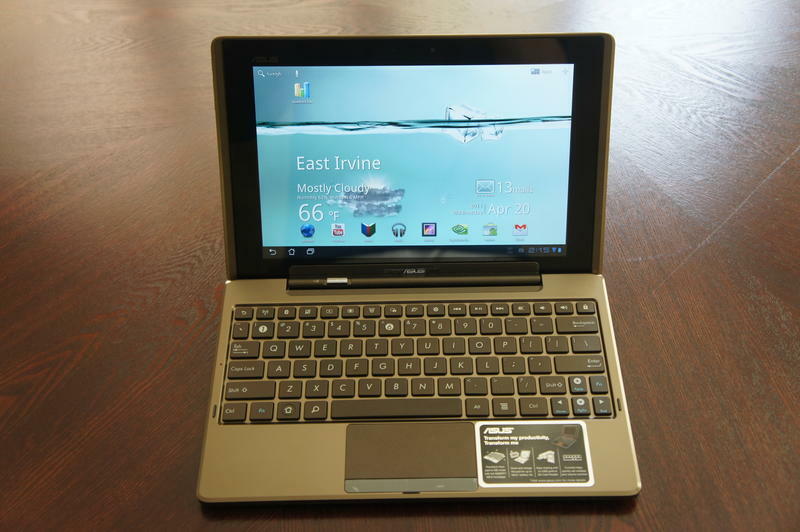 To see the Asus Eee Pad Transformer in action, be sure to check out our YouTube channel. Pricing: $399 for the 16GB Wi-Fi only model (3G models will be available in some regions), and $499 for the 32GB variety.